It is easy to search for homes on Maui that fit your budget. Looking for pet friendly condominiums for sale in Maui? Condominiums allow people the benefits of ownership without the hassles of maintaining it. For many people looking to enjoy Maui condos are the answer. There is a wide assortment of condos available for home owners and investors. While the majority of condos are concentrated in West and South Maui, there are a growing number of properties in Central Maui closer to the shopping centers and medical care. The island of Maui has many different areas; each one catering to your specific lifestyle and activities. We have made your maui real estate search easy by including all cities in this search. Towns in Maui are Lahaina, Kihei, Wailea, Wailuku, Kahului, Paia, Makawao, Kula, Kaanapali, Kapalua, Napili, Honokowai and Hana . 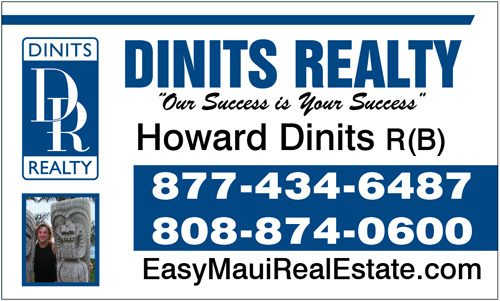 Search Maui Homes for sale NOW! Search Maui Condos for sale NOW! Search Maui Land for sale NOW!